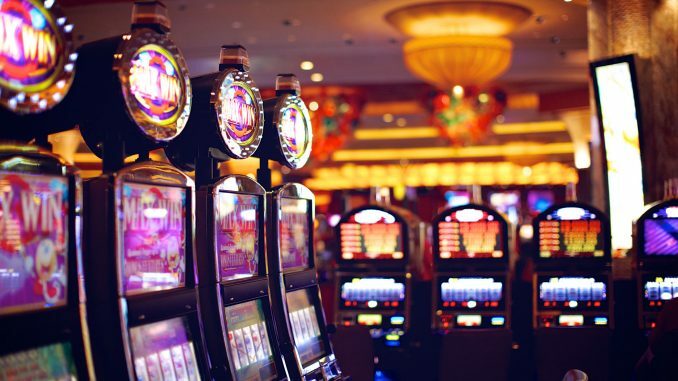 Online slot machines terminology can be confusing, so we gathered all the terms related to slots and slots gambling. We believe they will be helpful for all online slots fans. A video slot machine that has a bonus feature. There are may different features, but the most common most common are pick a box, free spins and wheel or fortune game style. A slot machine with multiple pay tables. With any additional coin played, you activate an additional pay tables. Consider max bets. Interface of any slot machine that lets you interact with it. Currency used buy the slot machines to place bets. Typically found in Australian slot machines. Gives you a chance to multiply your win by 2 or 4 by choosing the color or card suit. The UK variation of slot machine that often features additions like the possibility to hold the reels, nudge and play bonus games. A feature common for UK slots, which gives you the possibility to to double your win by guessing whether the next number will be lower or higher. How often the machine pays a winning combination. Is also used to denote the chance of hitting a bonus game. The area of coin storage inside a real-world slot machine. A network of slot machines in different casinos that share the same jackpot. Usually found on progressive slots. The highest amount of coins allowed in the game. A slot machine that has more than one payline to win. The line where the combination should line up for you to win. The pre-set percentage of bets that will be returned by the slot machine over the long term. Casinos cannot change this percentage. The chart outlining all th wins payed by the machine. Any jackpot that increases while the game is played. A part of every bet is contributed to form the jackpot. Usually met in linked jackpots. The chip inside every slot machine that decides when the reels will stop. The drums inside the slot machine that spin when you press the button or pull the lever. Modern video slots use digital images instead of spinning drums. Typically found on video slots, a pay that wins without having to line up in the payline. Often found on bonus slot machines. The images displayed on the reels in the slot machine. Common symbols are bars, fruits and sevens. A slot machine using a computer screen instead of physical reels to display the symbols. A symbol that substitutes other symbols. Acts like joker in card games. A wild symbol that actually multiplies the win it makes a part of. The combinations of symbols that win. Displayed on the pay table.